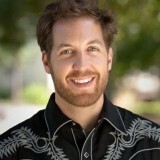 Announcing My New Chris Sacca Personal Internet Blog Site on the World Wide Web! How You Can Help Us Save Democracy. Like most Americans, Crystal and I were hoping rationality, fairness, and compassion for our fellow humans would prevail in the 2016 elections. Whoops. The real problem: Government officials and agents aren’t allowed access to the tech they need.